Do you work for MATLAB? Learning about MATLAB? We can help. "Matlab is a great programming language"
Matlab is a really powerful software, it comes with several pre-programed functions that allow for designing software at ease, since most of these functions have to be programed first when using other languages. Matlab’s programing language is really easy and intuitive which makes even the most complex situations such as creating complex GUIs or simulation a streamlined process. First how expensive it is, if you want to use this software you will have to pay for a very expensive license, so if you need to purchase it you might want to have projects that allow you to recover this large amount of money. In addition, some of the most useful libraries have to be purchased separately. Second, how demanding it is for your pc, I am running it with an I7 processor and my computer is struggling to run it, you need a vast amount of power for it to run some of the most demanding GUIs, programs and Simulink simulations. For someone willing to try matlab I recommend first that you start working in a solid programming basis or else you will not get the most out of this expensive software. I would also recommend in investing in good hardware since this software is truly demanding for any pc. Matlab is one of our go to tools for creating simulations and personalized software for problem solving. We have used matlab to create simulations of wave propagation for 2D and 3D seismic in the oil industry. In addition, we use this software for gravimetric data analysis since it correlates amazingly with our excel gravimetry data and we can customize the gravimetric corrections for data processing. "Very helpful and fast to perform numerical calculus and loops." What I like of Matlab is the very exaustive command help which can help you everytime with examples too. Moreover it can be possible to create function to solve very hard problems and having as results great visual plots. I like a lot the possibility to generate more plots in rows or columns so you can visualize differences in a very visual way. What I dislike is that the program could be able to understand some errors and replace it with the right commands, this is not a common command in this kind of software but it could be the future. The folder of use is always full of files, there should be an option which allows you not to stay always in the same one, so the software should be more flexible in this sense. I reccomend people who want to use this software to be very precise when using it since you could write a whole script and ending up with small errors which can make you crazy. Mostly problems about engineering, that is the field I am in, as benefits I got a lot of time saved everytime I have to perform examples of problems. In fact when I want to have visual examples of what I deal with I can quickly create a script on Matlab and visualize the results, which is very important for having a fast and clear understanding. "The ideal software for the calculation of industrial control systems"
This software has been very useful in the development of prototypes for the control of complex industrial systems, mainly for the calculation of these control systems. Since it has a large number of tools such as RLTOOLS and Root Locus that allows you to see where the operating points of a system are and also calculate compensators on and after to improve the stability of these systems. They have been really useful, in addition the software has a large amount of documentation and forums where you can request help from other users with knowledge of the software. There is not something specific that I do not like about the software, it really seems very complete and good. In addition to having many tools. One criticism is that when solving non-linear systems of many variables the system can be a bit slow, but it can also depend on the capabilities of each computer where the software is run. This program has solved problems in the company as the creation of prototypes and final products for our clients, these prototypes must be calculated and simulated, and this tool has been perfect to achieve these objectives. Also, I do not consider it a complicated software to use. ""MATLAB- A full math-tool package for Engineers""
I've been using MATLAB since 2014. MATLAB is really a reliable, trustworthy computational software available in market with good precision and speed. The interface is awesome and MATLAB team continuously developing its user interface to make it easier for beginners and professionals.Any time customer support is available for users. This software has a great inbuilt function libraries which contains lot of engineering tools and inbuilt function for doing complex calculations, data analysis, image processing, automation, simulation and other mathematical calculations which are not easy to solve. I personally use it for Simulation of Robotics and Dynamic Analysis as it is a full package mathematical tool for everyone. -Customer service and regular improvement to make it useful for everyone. computation is little bit slower than C++ and python but there is a plus point which makes it better than those as its coding is easy and you don't need to learn those complex programming if you are not from computer science background. Matlab is total package of numerical computation in every field of science. Interface is easy to use and user friendly. I recommend all students, scholars, researchers and professionals in any field must use MATLAB for solving their problem. I am an M.Tech. research scholar. I use MATLAB for my research work which is totally dependent on mathematical computations as I have to do dynamic analysis and Simulation of robotic systems. This is really powerful tool to solve any business problem like automate the system, image processing, data analysis, numerical computations and many more benefits comes with MATLAB. "MATLAB has been a very good product to use for any data analysis"
I love the ability to get help online and on the local software. The help functions are very informative and so many people use the software that it is easy to find help if there isn't something already there to help you. The software itself is very easy to use. I like how many different functions MATLAB has and that I can manipulate so many different things with it. I can look at signals and create Bode plots on a user friendly interface that lets you input the data and correlates it into the Bode plot. I am able to consolidate data and look at regressions of it. I am able to also solve decisions with using a decision matrix file that I have written up in MATLAB. I am able to analyze graphs and manipulate pictures, videos, and audio. I have worked with MATLAB in order to create a video software that will track movement and know when somebody has fallen down in a room using an Xbox kinect. The Xbox kinect is compatible with the MATLAB software and also easy to use. I am using matlab for 2-3 years. The things i like is that the instruction set is quite easy than other language. Also the help section consist the good information about the all instructions. The overall working speed of the software is also good. User also able to process on image, video and audio also. it also used for generate the different waveforms ex. modulation, window function for filter design. The only thing us don't like is that the time taken by software to start is quite long and for new user the software may be quite hard to use. ts also operated quite slower if your processor is old. MATLAB is very good software if you are working on different image,video & text operation. also you can generate different things including modulation & it also support 3D image processing. I have used the matlab for image and video processing and data encryption and decryption purpose. also done some project based on matlab. "Powerful software for numerical computation"
Matlab allows you to solve from simple to complex numerical problems. It is very versatile as it allows you to program your own methods or use one of the ones that are included in the software (it has a large library of methods). Although it is very powerful when you are solving non-linear multivariable problems (over 1000 variables) it can get pretty slow. Using Matlab could be a little frustrating at the beginning. I would recommend to start with simple problems (similar to the ones you are planning to solve) and from there start working harder/larger problems. Through the help menu you can access to a very detail documentation of all methods that are already in the software. Once you have an idea of the kind of problem you want to solve you can go into that menu and explore the different methods that the software has that might work for solving your problem. It is very organized so you do not have to expect to be looking around for a long time and it has some examples that come very handy when you are not familiar with a particular method. I have used matlab for different applications. Most recently, I have used it for optimization purposes i.e. optimized the design of a distillery column, calculate the concentration profile of a chemical reactor and kinetic modeling i.e. obatian the kinetic constants of a chemical reaction from experimental data. Every day I use Matlab for generating high-quality figures, coding and so on. MATLAB seems to me a calculator. It is very easy to use. Matlab has a lot of features which are very helpful for students and scholars. I like Matlab very much as it is a necessity of my daily life. I can solve many complicated problems with Matlab which will take a longer time in other software. Sometimes, MATLAB is very slower than other coding platforms such as c++, python. Also, the toolbox of the Matlab is very expensive. For these reasons, I dislike the Matlab and try to find alternative options. Although the MATLAB is expensive, I love to use it in my research. MATLAB is an excellent multitasking platform and I will recommend to use it. Overall, I am very much satisfied with MATLAB. I generated lots of publication quality figures using Matlab. I also used the cftool box, optimization toolbox for my research application. Curve fitting toolbox in Matlab helps to me to find good fitting with experimental data. I will strongly recommend Matlab to all students and scholars. "MATLAB - an excellent tool for engineers"
I like how versatile MATLAB is. You can do a wide range of functions in the software including anything from basic calculations all the way to plotting advanced data sets using a variety of colors and points. Each year, the updates for the software get better. The various plug-ins and call functions that you are able to input and use is incredible. There are also tons of helpful tutorials both on the Mathworks website and inside the MATLAB software itself. They guide you through pretty much every function that you can perform on the software by just typing in a keyword into the command window. I wish the Help information was easier to navigate. There are so many different functions in MATLAB that is can get hard to remember everything that you may need to do for a given problem you are looking to solve. The Help menu has a search box, but sometimes it does not return the results that you are looking for, especially if you cannot recall what the command you are looking for is called. MATLAB has pretty much anything that you may be looking for in an engineering software; however, it becomes difficult to use sometimes when you forget a command because there are so many. MATLAB helps me to be more productive at work since I am able to write out a script to solve a given problem, and then just change the input variable values to solve different forms of the same problem. Matlab allows the programming and automation of programs and subprocesses. It has an easy environment for a beginner user and is very powerful. Thanks to the programming, you can save a lot of time at work. The programming in C ++ language can help in the integration with other Software. The programming editor is a bit obsolete. If you want to automate certain programming tasks it can be a bit slow and does not help the user. Sometimes this program presents problems with some libraries that are marketed independently. It is really an amazing software for engineering students. It can be useful for electrical, mechanical and computer students to solve different aspects of problems. In some ways it is expensive to buy, but many institutions have their own subscriptions for students so they can use it for free. Ideal for automated data processing and small-scale validation. Great for fast math, aerospace, controls, electronics simulations and circuit analysis. 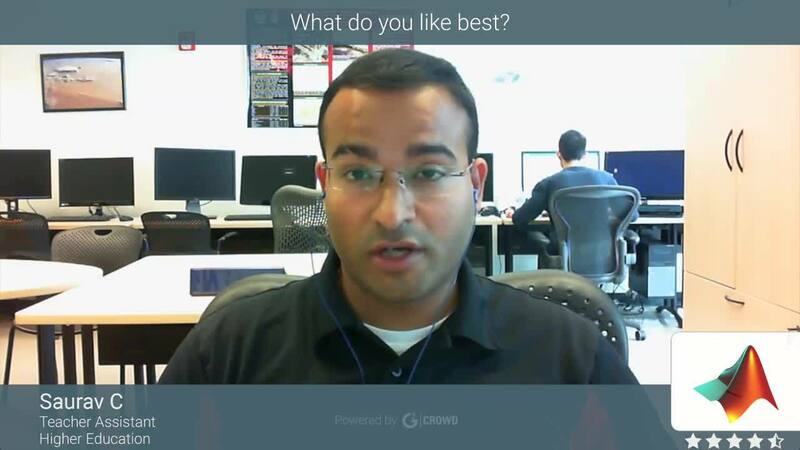 "Very powerful tool for engineers." The most useful thing about matlab is the help and suppport. There are softwares in the market which are comparable to matlab in performance and capability by the support isnt so great. And this is why so many people around the world use matlab. There are so many tutorials for matlab. Even some provided by Mathworks. But they are not well organized. - Computationally slower than C++ or python. - Not useful to implement Machine Learning Algorithms as matlab is very slow. I am using matlab for various reasons. Mostly i use it to check if my algorithm is correct. I write a code in matlab and if algorithm works perfectly then I shift to C++ or python which can run things in real time. Mostly I use matlab to solve non linear optimization problems . I have used MATLAB ever since I started studying Engineering in college and still use it to this day. The thing I like best with MATLAB is how easy it is to detect where your mistakes in the code are. You are able to run specific sections of the code, so you can break it up into parts and make sure that each part is correct before moving to the next one. MATLAB also specifically marks where the error is, so it is easy to debug your code. The help function is also very good, it is easy to look for any in built function MATLAB offers. What I dislike about MATLAB is that it is not easy to customize plots, especially when several curves are represented in one plot and you want to make them in different colors and styles, the code can get cumbersome. Use the help function when needed, MATLAB has a lot of built in functions that can make your code more optimum and faster. I use it in my job as an Aerospace Engineer in a major company, for anything from simple math calculations to plotting curves on the behavior of materials and structures. "MATLAB Review from a frequent user"
MATLAB is definitely a go-to programming software for students and professionals. As an engineer myself, it is the best programming language in my opinion, due to several main reasons. First, it is relatively easy to learn. This is also due to, in great measure, the amazing help function the software offers. Also, the possibilities are endless, you can process images and video easily, call external libraries, and read a wide variety of image formats. The codes are relatively easy to understand with some intuition and it is a language which can be learned fast. Even though the price is reasonable, I really wish this was an open software as it would be more accessible to students. Also, finding errors in the code in MATLAB can be tricky, I wish the software would highlight the errors better. Well worth the license price. If you only wish to learn one programming language, this is the one I recommend for sure. Very used in most companies. MATLAB is used every day in an Engineering company, especially for quick tests to perform quick math estimates or calculations, mainly due to how easy it is to write a simple code. "MATLAB - Herramiento de simulación multiproceso "
Matlab permite la programación y automatización de programas y subprocesos. Posee un entorno fácil de para un usuario principiante y es muy potente. Gracias a la programación, puede ahorrar mucho tiempo en el trabajo. La programación en lenguaje C++ puede ayudar en la integración con otros Software. El editor de programación está un poco obsoleto. Si se quiere automatizar ciertas tareas de programación puede ser un poco lento y no ayuda al usuario. En algunas ocasiones este programa presenta problemas con algunas librerías que se comercializan de forma independiente. En algunas ocasiones el sistema de reconocimiento de fallos puede dar un mensaje confuso que no ayuda a aclara porque no compila el programa. MATLAB permite optimizar tu trabajo mediante una automatización de procesos. Esta herramienta puede resultar muy útil para tratamiento de datos desde equipos de medida. Además, posee una gran versatilidad para integrar los resultados obtenidos a otros programas o puede usarse para realizar cálculos tras obtener algunos resultados con otros equipos de simulación. Es recomendable para trabajo de ingeniería y tratamiento en datos de otros campos. Este software ha resuelto problemas de resolución de sistemas de ecuaciones con múltiples incógnitas utilizando matrices. Además, se puede implementar prácticamente cualquier cálculo de ingeniería utilizando integrales, derivadas o números complejos. Existen multitud de foros que pueden ayudarte con cualquier duda que se presente y programas hechos que pueden solucionarte el problema de forma rápida y correcta. "No hay nada que no puedas hacer con MATLAB"
Aprendí a utilizar MATLAB en la universidad. Me encanta la facilidad de uso. Me da la capacidad de resolver problemas sin mucho trabajo manual. Automatiza cosas que no considerarías automatizadas. Con todos los paquetes, rara vez necesita escribir funciones. La sintaxis es muy fácil de entender y los mensajes de error son significativos lo que ayuda a corregir el error rápidamente. Es una muy buena forma de aprender algoritmos y una buena forma de desarrollar algunas habilidades de software. La interfaz de usuario es muy fácil de usar, el lenguaje es muy intuitivo y flexible. La letra pequeña de Matlab es muy difícil de leer, especialmente cuando escribe mucho. Necesita algún tipo de error automático o botón duplicado en caso de que los usuarios dupliquen accidentalmente varias líneas o quieran duplicar varias líneas de código. No es el lenguaje informático más eficiente o rápido. Es realmente un software asombroso para estudiantes de ingeniería. Puede ser útil para estudiantes eléctricos, mecánicos y de informática para resolver diferentes aspectos de problemas. De alguna manera es costoso comprar, pero muchas instituciones tienen sus propias suscripciones para los estudiantes para que puedan usarlo de forma gratuita. Ideal para hacer un procesamiento automatizado de datos, y validación a pequeña escala. Genial para matemáticas rápidas, aeroespaciales, controles, simulaciones de electrónica y análisis de circuitos. "Matlab review based on research experience"
The have excellent documentation. The GUI is extremely user friendly. They also have different apps like the curve fitting tool box, the Machine learning app which makes it very convenient to use Matlab. Very easy to grasp syntax. It is slower than other languages such as CPP making it time consuming when working with large data sets. This is a great product for beginners into computing, It is easy to use and very easy to learn. It also has lot of developed functions and classes which can be implemented very easily. I use matlab for my research work. I have done statistical analysis on matlab which helped me immensely. The curve fitting toolbox was very helpful and so was the process to design your own GUI. I use Matlab for my academic research. I read images, then carry out operations on them. Matlab is good with statistical analysis, which I think makes it good for images. MATLAB, unlike other SDKs, has a very powerful console. You can do anything directly through the MATLAB console with no need to write a whole C/C++ program to do simple things. The best thing that MATLAB has, for me is the easy way that you can creat a simple and intuitive GUI with a very powerful wizard. Also MATLAB has a lot of professional packages and toolboxes for complex problems resolutions. Like Signals Processing, Image Processing, Calculus, etc., very powerful for electronics and circuit theory and analysis of electronic digital signals and systems (is the part of MATLAB that I most use). If you have a small knowledge of C/C++/Java, you can start to write code just with open MATLAB. The worst thing I found is that when your GUI starts to grow and you have many objects, the performance starts to decrease very quickly and sometimes it starts to crash. Another thing is that you can't have more than one function in each file. I mean, you can't make a kind of library in one .m file. If you have different functions, you need to have different files, and the size of your projects increase a lot. MATLAB is perfect for education, with all the specific and professional toolboxes that it has, is a very powerful program to learn how to develop a workable platform. I think that is a little less appropriate in the case that you are an app developer, where you have to make an application that has to work independently if the user does or doesn't have a clue on how to use MATLAB. MATLAB has had a very positive impact on the things that I've done. I can test very quickly (and in some way beautiful) all the electronic stuff that I make and need a connection to the computer to changes values or parameters directly from de GUI. As a member of the IT department and a programmer, I can tell that MATLAB’s language is very intuitive and easy to learn. Not only that, but the interface is easy to master as well and it has so many tools for creating functions. MATLAB makes incredible easy to extract data from databases as it comes with several tools for automation. It's find difficult to solve any technical issue on MATLAB by consulting the help manual, as you may find yourself lost if you don’t know the specific keyboard you need to use. Also, MATLAB’s cell arrays are somewhat difficult to select and edit. This software is great for processing file formats, even with rare formats. Perfect for solving problems with algorithms, for modeling with several matrix computations and for vectoring operations. Our company uses MATLAB to analyze large amounts of data and run them with a scrip develop on this same software. Some of our team members use it to output graphics from this data, in order to be able to analyze it visually, and others run computer simulations on it. "Using Matlab as an electrical engineer"
versatile settings to plot figures. very much user-friendly to install, compile, correcting errors and execute. huge numbers of available help and codes in Matlab central online community. very easy to connect to a hardware through serial and USB connections. Simulink is probably one of the best ways other than NI LabVIEW to create a functional GUI. buffer requirements in real-time simulation slow down GUI response time. Unless working with Simulink, there is still a need to increase the number of predefined functions. For an example, in RF toolbox, please add a feature of viewing radiation pattern of an array of an equally spaced isotropic radiators. The matlab-labview software module that helps to connect these two software is way too much expensive, and not available in a cheaper version for academic use. I used Matlab for various functions, such as analytical computation, statistical analysis, real-time simulation, array factor computations, plotting graphs and figures with detail description, bit error analysis, and noise reduction in signal transmission using various digital modulation techniques. "Very professional programming software for academics"
- It is user-friendly software. - It features lots of embedded functions needed for programming in different fields. - It includes various toolboxes which are so useful for engineering projects. - It is so easy to install Matlab. - It is pretty easy to find Matlab syntaxes with its Help option on the command window. - It includes examples, demos, which are very useful. - It includes Simulink that you can easily build block diagrams of a system and run it. - You can compile your code in Matlab somehow that is compatible with other software. - You can easily modify your code and save it. - It includes lots of evolutionary algorithms like Genetics, PSO, ... ready to use. - It does not have any specific disadvantage, however, it would be nicer if its price was lower. It would be better if the price for the new toolboxes of Matlab is lower. Our university, unfortunately, does not provide all the toolboxes for the students. I use Matlab for a huge part of my academic research. It has been a while that I use Matlab and I am totally satisfied with it. "Awesome for prototype, bad for final product." · Ease of use. · Huge variety of toolboxes for different purposes. · Good (not great) IDE in last versions (autocomplete, error solver, etc.). · Optimization for vectorial calculus. First of all, think about if you need this kind of product. I would recommend it if you need: · Fast prototyping. · Vectorial calculus (a lots of data). · Easy visualization. But don't buy it if you need: · To create a big and stable software. I have used MATLAB during almost 5 years for different tasks related with signal processing, maths and statistics. It is amazing how easy is to create a prototype and grow it from there. Besides, it is very scalable, due to its great vectorial calculus optimization, which force you to think in a non-for-loops way. Nevertheless, when your software is very big, i do not recommend MATLAB. I think it is not easy to mantain, it is difficult to distribute and maybe other solutions (which of course require more time of work) fit better. Excellent for large datasets. Works reasonably well with other software (e.g. Excell, Comsol). Great help websites. Taught in several engineering schools (so plenty of new users and presumably still relevant). Great built-in toolboxes (e.g. Statistics, Signal Processing, Deep Learning). Plenty of built-in functions with well documented help files. Generally useful error codes that show where the error occurred. Easy to create new script and functions from scratch. Can modify code (e.g. add a new variable or change the variable type) anywhere in the code (not only at the beginning). Costly. Not easily compiled. New versions every 6 months with some old functions discontinued. GUIs (graphical user interfaces) are terrible - absolutely terrible. Curve fitting needs improvements. Figures, especially plots with the default settings, are ugly and take a lot of effort to make presentable. Difficult to use symbolic math. Live scripts are large and slow (I no longer use them). Challenging to interact with external devices (e.g. Arduino). Naming convention of built-in functions inconsistent. Analyze large data of protein structures from text files from VMD (molecular dynamics software). Create interactive scripts to interact with external devices (Arduino and waveform generator) and to collect data with user responses and custom Bayesian algorithms. Analyze the user responses with MATLAB's built-in statistics toolboxes. Interact with COMSOL (finite element software) to run structural mechanics simulations. 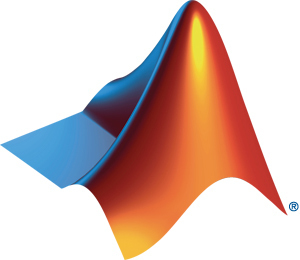 "Matlab is the perfect tool for quick computations and more advanced analysis and simulations"
Matlab has a very intuitive user interface and a user friendly language. It is very flexible, the documentation is clear, there are a lot of examples online to get you started with everything you need. The debugging tool is very easy to use, intuitive and effective. Code and functions are very easy to write and test. The interface allows you to check all variables very easily as well. It is not the most efficient or fast computing language. It is a very good way to learn algorithms and a good way to develop some software skills. The user interface is very easy to use, the language is very intuitive and flexible. I learned debugging software with breakpoints using Matlab. Start by writing a few scripts and then go on to learning functions and how to organize your code in an efficient way, before tackling more in depth and involved simulations and analysis. I highly recommend Simulink as well for anyone working in aerospace or controls in general. It also has a very easy interface and the controls toolbox has everything you need for control system design, analysis and simulation. I'm using Matlab for quick maths as well as aerospace, controls, space mechanics simulations and analysis. Graduate Research Assistant, Machine Intelligence, Computer Vision & 3D Lab, IUPUI. I liked Simulink DSP toolbox for research purpose. In simulink you can develop any model i.e. communication model, control system model, different electro-mechanical model and you can validate it'e performance before implementation. I disliked Classification learners APPS in matlab. It only give you outer view of classification but you can not make change in any major parameters in classification algorithm. Moreover, it's only can be used for beginners not advanced learners. I think it need to be more intuitive than easy user friendly. It's really an amazing software for engineering students. It can be useful for electrical, mechanical and computer science students for solving different aspects of problems. It is somehow costly to buy but many institutions have their own subscriptions for the students so that they can use it for free. I am working on a classification toolbox. I am using it for a medical project. It has some classification apps and neural net apps that works for me. "One to rule them all..."
Honestly, MATLAB help. Starting my bachelor degree as an electrical engineer we came across mathematical plot simulation in our math course, our first encounter with MATLAB. We looked for classes, books and solution manuals and instructors to teach us. My adviser back then saved me by telling me, the best instructor is MATLAB help, I started then and 12 years later, I still use MATLAB daily. The errors are clear, most of the software that I use need a decoder, many hours of research just to find out what the error is trying to tell you. With MATLAB the errors are more understandable, simple English, but still can be better. My other problem when I was back in my home country Iran, Was that we were banned to use anything from math work! I never understood the reason but seems very unfair to students there. Don't be afraid to start with all the unknowns, there is MATLAB help and many many forums to help you out. It is rather easy and there are many tutorials to make the process of solving problem less complicated. "MATLAB - Software for applied Mathematics"
MATLAB is a wonderful tool which I use in my research. It is one of the best tools out there for floating point linear algebra, doing array manipulation and for mathematical functions. The notation used are simple and powerful, the implementation of various operations are fast, it is great for plotting graphs, it is easy to use, the live script and the command window make it easier to test out small code snippets. Only thing I dislike about MATLAB is that it is not easy to integrate MATLAB with other software applications. MATLAB is the best tool for doing mathematical calculations. It does not have a steep learning curve and is quite easy to get started, making it suitable even for beginners. It is great, just give it a try through trial version. I mainly use it for research purposes focused on image retrieval. MATLAB makes it easy to plot histograms and graphs for visualizing the data. It has made my research paper much more enjoyable! "Matlab is the best, high-performance, easy-to-use numerical analysis environment"
The ability to process a variety of data. Its interface is easy to use. Suggestion and notification of acceptable arguments is a good feature. It's great for plotting graphics, easy to use, live script and command window make it easier to try small snippets of code. Matlab has a large number of professional packages and toolkits for solving complex problems. As signal processing, image processing, calculation, others., Very powerful for the theory of electronic circuits and the analysis of digital signals and electronic systems. It is a very good software, it would be nice to have a drop-down menu that allows to review by categories, what functions are available. You also need extensive mathematical knowledge. It can be somewhat expensive for users. Using Matlab allows to optimize industrial processes, which saves labor costs and shortens the deadlines. Matlab can be linked with the commercial tool to solve industry problems such as finite element analysis. "Matlab is the mandatory software for every Engineer"
"Intuitive and easy to pick up for an experienced coder"
I am currently utilizing Matlab as a solver for an array of kinematics and dynamics problems. I like how easy it is to customize the code to any problem, making the whole process defined and repeatable. Certain syntax's of the code are extremely intuitive, such as the integral notation and the solve notation. Also, the lack of commas and semicolons is a nice break. Matlab online is also really good at troubleshooting. So far, Matlab has only been helpful. I already have experience with the logic needed for code, so implementing that for Matlab was pretty easy. If you want to feel like a genius on the math front and so much more, use Matlab. I am solving kinematics and dynamics problems using systems of differential equations. Much like I said before, I really benefit by using Matlab to solve these systems because it is fast, reliable, and easy to tailor to each and every problem. There is less room for user error, and I get a more systematic approach to problem solving. Unlike other programming languages it comes with a complete package. IDE, interpreter, and debugger are all provided in one nice package. Secondly, most of the tools are already included in the installation package. I have been doing machine learning for the last couple of years and used MATLAB for implementing graph based semi-supervised learning, kernel learning, and etc. I never needed to install any packages for my need. As a machine learning expert, I think Matlab is not the best tool for implementing deep neural networks. I prefer to use tensforflow or Caffe and python language. MATLAB is a great tool for prototyping. When it comes to creating new products I usually use other programming languages like C++ or Python. I am using MATLAB for training different machine learning algorithms like SVM, deep neural network, and etc. "The best mathematical simulation program"
Undoubtedly, MatLab offers one of the best experiences focused on solving complex mathematical problems. The possibilities offered are very broad. It also offers a large community, with pre-created programs to save time. "Application Engineer for 4 Years and I doing Masters in Computational Mechanics"
In Matlab, Class, Vector module used for parallel computing. For 3D plot, variables are difficult to find. Matlab is the user friendly Scientific tool. It has user defined function, Vector Module are implemented very Easily. This Matlab is used to build finite element method or finite volume method with efficiently and solve structural and CFD Problem. I used Matlab to solve the mechanical-thermal problem using coupled physics methods with help of finite element method user-defined function. Matlab can Link with the commercial tool to solve industry problems such as finite element Analysis and CFD for creating the user-defined function by an easy implementation. Matlab can be used for direct and iterative solve to solve the engineering problem. Plot using graph(1D,2D), Contour are evaluate very easy. I solve Heat equation using finite element methods with help of Matlab in 2D Domain as shown in below. The biggest strength of MATLAB is ease of use. It provides me with everything that I need in one place, with the best documentation and examples in the industry, and world-class data visualization. MATLAB easily saves me days of work that I might otherwise have spent configuring complex software packages. It's all-in-one and makes it easy to import my data from any source, perform arbitrarily complex processing with it's programming language of the same name, and present that data quickly and professionally. You can do everything it does with free tools, but the increased labor cost is easily weeks to get a proper environment going. MATLAB makes it easy to get working right away on complex problems. It can take time to learn the language, so there is a learning curve, but it's not hard to learn and training materials are included. Remember that MATLAB is as much about the language as it is about ease of use. It is best used for prototyping and investigative purposes, but can be used for production. Your solution should involve significant programming/data analysis and have a term long enough that writing custom code for prototyping makes sense, and your user should have some programming knowledge (although the language is extremely forgiving). I've worked on advanced imaging systems, original research, data processing, and failure analysis using MATLAB and tools I've written for the environment. "Fantastic tool for all number crunching / prototyping / simulation / modeling"
The versatility of MATLAB is amazing, It can be used from simple tasks like being a calculator, complex number manipulation, to something intermediate, such as data analysis and visualization, to something complex like filter design and feedback loop analysis and simulation. And these functions are just scratching at the surface. The ability to create lots of reusable functions allows it to be built up. Having been trained and used MATLAB since college, you grow as the problems you try to solve increase. MATLAB also has the capability of being integrated into C++/C# functions, or deployment version of code as well. With the large flexibility and power of the tool, the trade off is a high cost, and steep learning curve. The sheer amount of functions create a dilemma such that you don't know what it's capable of sometime until you make it a research project to find out. MATLAB can debug the errors easily. one can run the code line by line to find out the errors. This is the best debugger I have ever used. The MATLAB menu has very easy to use and understand for creating scripts and functions. In the main menu one can also see all the variables which are used in the code. For the new user MATLAB is an interesting function "help" you can get help about any function of MATLAB just by typing 'help' in the command window. you can also use the online help of MATLAB for knowing better. I would love more if MATLAB was open source, I am lucky to have a license through my University otherwise I would not able to afford it if I could not get a license through my university. Not good compatibility with other programs. MATLAB is one of the best software an engineer must know how to code and how to design a project on matlab-simulink. i think its the backbone software for engineering students. one must knows the basics before start to use it. MATLAB is very good for processing different types of formats. I used it for digital signal processing and control systems and I find it much better and understandable. I love the SIMULINK modeling of MATLAB. one can easily model a project in SIMULINK. Matlab es un software muy potente con un montón de funcionalidades para muchísimos sectores. Básicamente, lo que hace que sea tan útil es tener un montón de herramientas ya escritas en código C++ y que tú sólo tienes que invocar mediante una sencilla instrucción. Esto es una gran ventaja comparado con lenguajes de programación compilados. Matlab tiene una desventaja importante, y es que a pesar de estar muy bien optimizado, siempre va a correr más lento que lenguajes no basados en otros como por ejemplo C o Java. Matlab sin embargo, cuenta con herramientas para traducir tu código a C y crear un ejecutable para que sólo tengas que correr ese archivo y ahorrarte muchas horas con códigos complejos. El problema es que es una herramienta muy intrincada de usar y que requiere de conocimientos previos en C.
En nuestra organización lo usamos principalmente para análisis econonométricos y estadísticos, además de machine learning o aprendizaje máquina en castellano. Usos a los que Matlab va como anillo al dedo, ya que tiene herramientas exclusivamente diseñadas para esta clase de trabajos, ahorrándote un montón de horas de código y quebraderos de cabeza. "One software for every design possible"
MATLAB, not at all like different SDKs, has a ground-breaking console. You can do anything specifically through the MATLAB comfort with no compelling reason to compose an entire C/C++ program to do straightforward things. The best thing that MATLAB has, for me is the easy way that you can creat a basic and natural GUI with a great wizard. Frame prerequisites real-time simulations back off GUI reaction time. The most noticeably awful thing I found is that when your GUI begins to develop and you have numerous articles, the execution begins to diminish rapidly and at times it begins to crash. Something else is that you can't have in excess of one capacity in each record. That is to say, you can't make a sort of library in one .m record. In the event that you have distinctive capacities, you need diverse records, and the span of your undertakings increment a considerable measure. MATLAB is a great and useful software for programming. If I talk about Business problems then i would like to say this software is a blessing at work. It proves that it is an excellent and powerful software by itself.